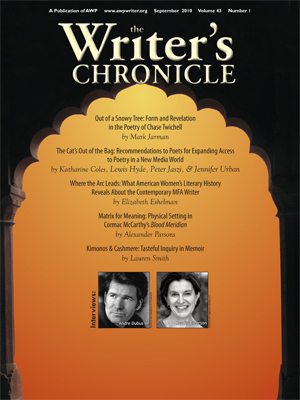 Guess who is interviewed in the September 2010 issue of The Writer’s Chronicle? Our keynoter Andre Dubus III, that’s who. The piece, titled “Letting in ‘the Other,'” is by Laura McCullough. We’re confident he will give a wonderful keynote speech.